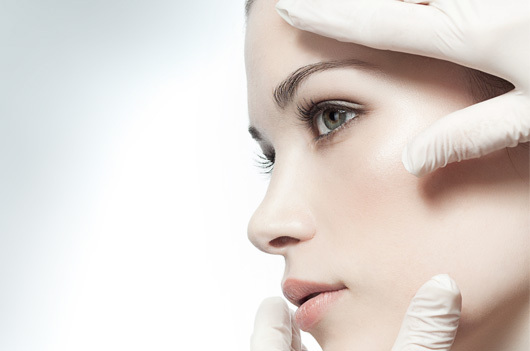 Injectable fillers – one of the biggest advances in modern cosmetic medicine. They allow us to restore facial volume by means of a relatively quick and simple injection, reducing the appearance of lines and wrinkles whilst also restoring more youthful and attractive facial contours. 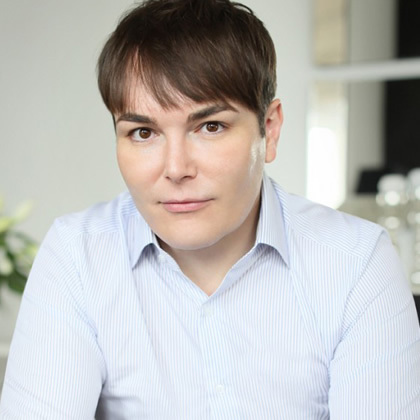 We Offer Injectable Facial Fillers From Our Clinic In Glasgow. Easy as it sounds, choosing the right filler and injecting just the right amount in the right places is paramount to achieving a good result. 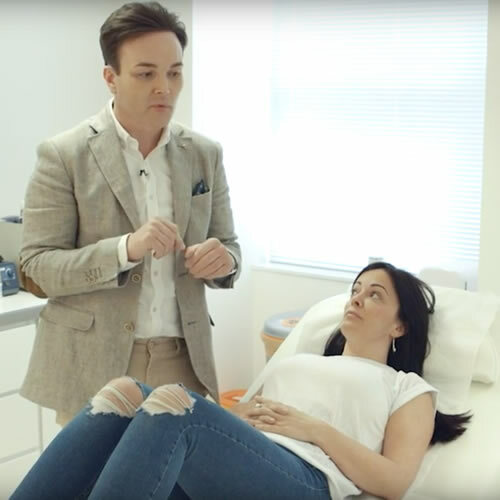 When it comes to injecting fillers, experience and judgement is key. HA fillers consist of a structural molecule found naturally in the skin as well as other connective tissues in the body. The benefits of HA over the previous generations of collagen fillers is its ability to provide a longer lasting result as well as a much lower risk of allergic reaction. Modern preparations of HA, with new cross linking technologies, are now able to provide a result which can last anywhere up to 2 years when the filler is properly injected. One of the biggest advantages of our fillers however is that they can be quickly dissolved should the need arise. When dealing with cosmetic treatments in the face it is always essential to think of “what happens if things go wrong” and it is absolutely essential to have a get out of jail card. HA fillers give us that peace of mind. Most fillers are temporary and can last anywhere from 3 or 4 months up to around 2 – 3 years. As such, they need to be repeated to maintain the results and so there has been a desire to develop longer lasting or permanent fillers. Although permanent fillers may seem attractive, there is real potential for long term problems with them. Complications with fillers are not common and with most of the fillers we use, if problems arise the filler can be dissolved. With permanent fillers this is not an option and if the filler needs to be removed, it needs to be done surgically. Even if problems do not arise, your face will continue to age whilst the permanent filler remains the same and will eventually look unnatural. For these reasons, permanent fillers are best avoided. The press is often very critical of celebrities who have had ‘too much’ filler. Very often when I look at them I don’t see too much filler per se, what I do see is a lot of filler in the wrong places. When it comes to injecting filler it is not just a case of how much to inject, but more importantly where to inject it. Here is a quick guide to some of the area’s we usually inject, and how to tell if you might benefit from treatment in these areas. Resorption of bone below the eye (the infra-orbital rim) combined with descent of the soft tissues of the midface and cheek can create a deepening of the hollow junction between lower eyelid and the cheek. Sometimes this is improved simply by restoring volume in the cheek alone, although in other cases it requires injection of filler on top of the bone directly below the eye. When it comes to treating the under eye hollows, less is always more. The nose to mouth lines (nasolabial folds) are one of the most commonly treated parts of the face. The nasolabial fold represents the natural junction between the upper lip and the cheek. In some people this appears with age as a result of descent of the midface or cheek. In other people however it is present since childhood or adoslesence because of a prominent cheek which projects over the lip – this is especially common in a lot of young beautiful women who have prominent cheek bones. Making the distinction between the first group and the second group is vitally important. If you can’t remember if you had the fold when you were younger, it is always best to check back to some old photographs. 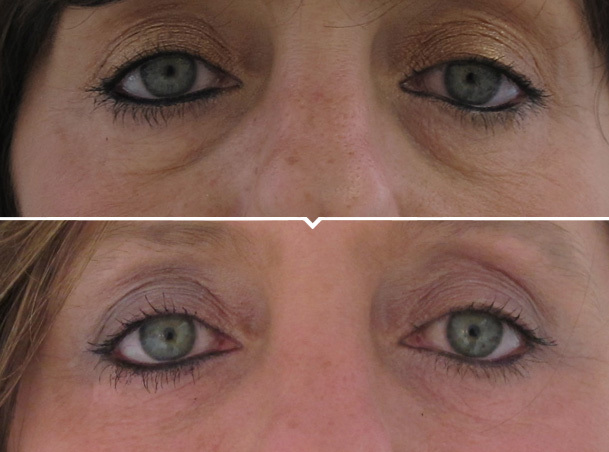 In the first group, where the fold has appeared with age, treating it with filler can provide a very nice and rejuvenating result. Treating the nasolabial fold in the second group of women however, who have had it as a feature of their face since their teenage years will almost always result in an unnatural look, particularly when the person attempts to smile. For this group, it is usually better to treat the cheek itself rather than the nasolabial fold. As we age our faces lose volume and there are few places on the face where this is more apparent than on the cheek. Assessing the contour of the cheek is best done from the “three quarters” or the oblique view. When we look at the cheek from this angle,a the aesthetically ideal profile should have a very slight dip, or concave curve, to the lower eyelid / cheek junction, followed by a convex curve over the cheek bone itself and then a slight hollowing or concavity towards the lower part of the cheek. As we age however, this “ogee” curve is lost and the profile view of the face becomes flattened. The goal of restoring volume to the cheek area is not simply to make the cheek look fatter, but to recreate a more attractive facial contour. As we lose volume in the cheek, we also tend to hollow out in the temple area. This can be a subtle sign of ageing, but treating it can help to restore an overall softer and rejuvenated outline to the facial appearance. with the appearance of lines that run from the corner of the mouth down towards the chin – the so called marionette lines. These can be fairly quickly, easily and successfully treated with volume restoration using filler. Treating this area is not simply a case of injecting the actual line, but feathering the volume across a wider area to blend the junction between the lower part of the cheek and the chin. As we age the size of the lower jaw shrinks too, meaning that the overlying skin can appear excessive and redundant. Restoring volume along the jawline can help to improve this appearance. The treatment works very well for people who have mild to moderate jowls and a thin neck, typically in their 30s to early 50s. If you have severe excess tissue and jowling along the jawline, it is unlikely we can improve it using filler alone and the best treatment will remain surgical excision. In youth, the lips tend to be full and voluptuous and as we age they lose volume and shape, becoming thin and flat. 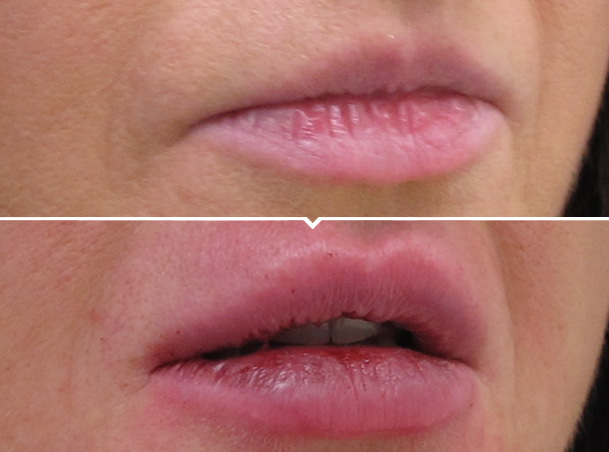 As a result, lip enhancement has become a popular treatment in anti-ageing clinics. Many women are afraid to have filler injected in their lips for fear of achieving the dreaded ‘trout pout’ look. So it is important to use softer fillers, usually the ones which are actually designed for filling fine lines. In terms of volume, less is more and it is almost always better to inject the red part of the lip rather than just the border, which can create a ducky profile view. Another key point to note is that filler in the lips can last a long time, and longer than you may think. It is commonly believed that lip filler lasts somewhere around 6 – 9 months. Actually, it can easily last up to two years and if you repeat the treatment before the last lot has worn off, it is very easy to gradually build up too much and get the dreaded ‘trout pout’. Bottom line: in the lips, less is more. When it comes to injecting fillers, experience matters. 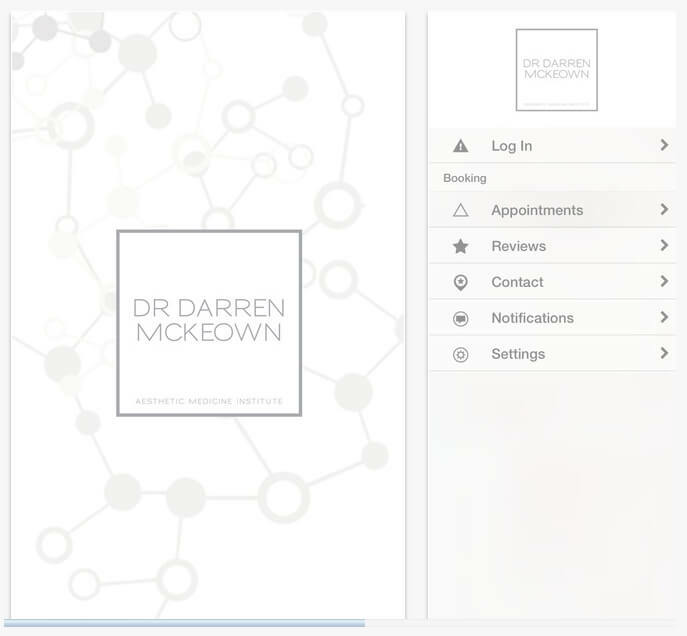 In 2016, dr mckeown personally injected over 3,200 dermal fillers making him the biggest user of fillers in scotland and one of the most experienced filler practitioners in the uk. 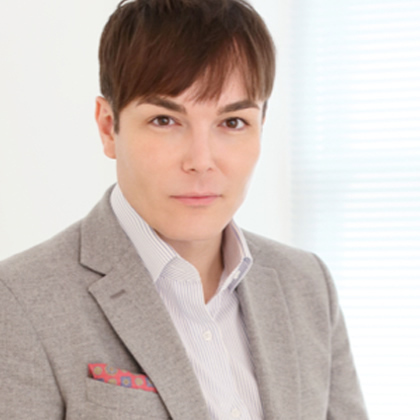 He was listed as ‘best for fillers’ in the exclusive tatler cosmetic surgery guide.